Interested in attending the 93rd DCAT Annual Dinner? Tables and single seats are still available! Contact Katelyn Weeks at (609) 208-1888 ext. 7008 or kweeks@dcat.org for more information. 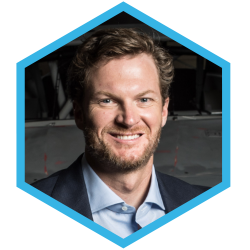 93rd DCAT Annual Dinner Speaker: Dale Earnhardt Jr. Whether you enjoy NASCAR, Formula 1, IndyCar or truck racing, you are sure to be fascinated and impressed when you learn how top racers train seven days a week to put their minds and bodies through these grueling tests of endurance. With the high risks for concussions, dehydration, hearing loss and other health issues inherent to the sport, hear how their physical conditioning, nutrition and other preparations propel them into the elite athlete category often only considered for contact sports such as football, basketball and hockey. Click here to read more about this exciting interactive evening! DCAT Welcomes Back... Jeff Ross! 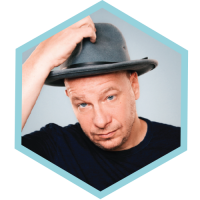 The DCAT organization is pleased to welcome back to the stage comedian, writer, director and producer, Jeff Ross. Jeff’s hilarious stand-up performance will be sure to set the tone for an entertaining evening ahead! Designated Annual Dinner Table Contacts can access the Dinner System and other details about the Annual Dinner using the button below. Invited guests of the 93rd DCAT Annual Dinner can access information about badges, attire, transportation and more using the button below. Post-Dinner Hospitality Events are hosted by DCAT member companies immediately following the Annual Dinner. Representatives from DCAT member companies and non-member DCAT Week attendees are invited to attend the post-dinner festivities. Learn more using the button below. The first annual dinner of the DCAT organization was held in April of 1926 when members determined that an event, such as an annual dinner, would aid them in meeting and getting to know other members of their industry. Nearly a century later, the DCAT organization still hosts this very special black-tie dinner every March in New York City. Held on the Thursday evening of DCAT Week, the DCAT Annual Dinner features some of the most notable and interesting keynote speakers from a variety of areas including science, politics, entertainment and sports.